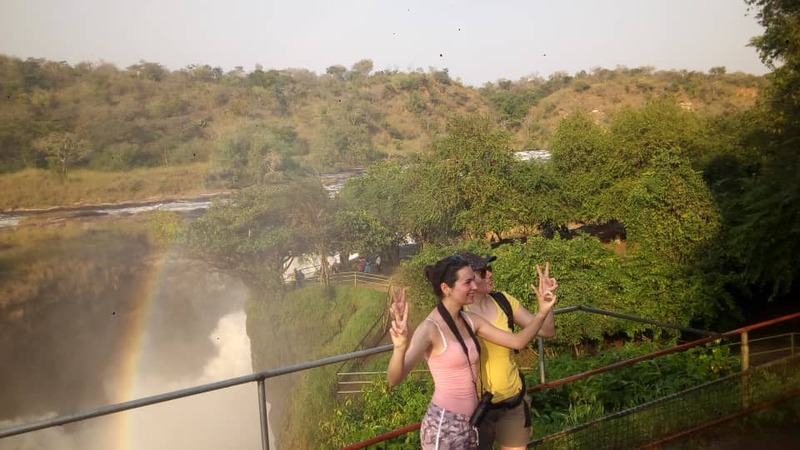 Your 10 days Uganda wildlife safari or 10 days wildlife, chimpanzee and gorilla trekking safari in Uganda is an amazing adventure tour in Uganda. 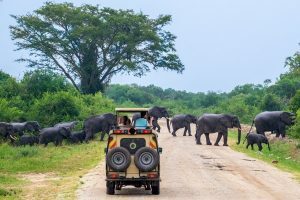 This exclusive 10 days Uganda safari takes you on a round road trip to northern Uganda, western Uganda then back to central Uganda alongside a professional English-speaking driver guide. 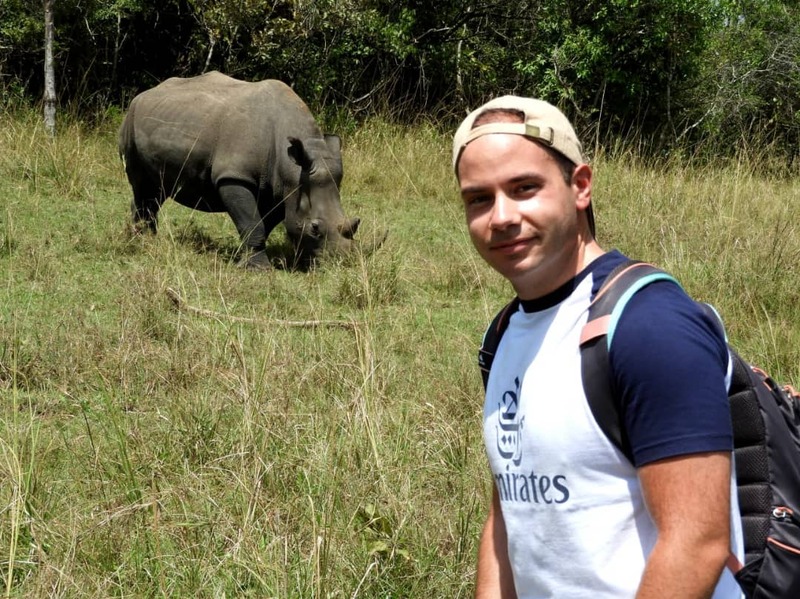 Rhino tracking is featured at Ziwa Rhino Sanctuary on the first day of your trip along Kampala-Masindi road. 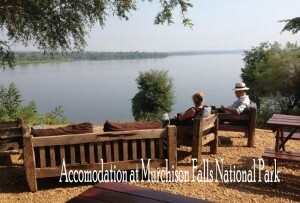 A game drive, boat cruise and hike to the top of Murchison Falls is what you do at Murchison Falls National Park. 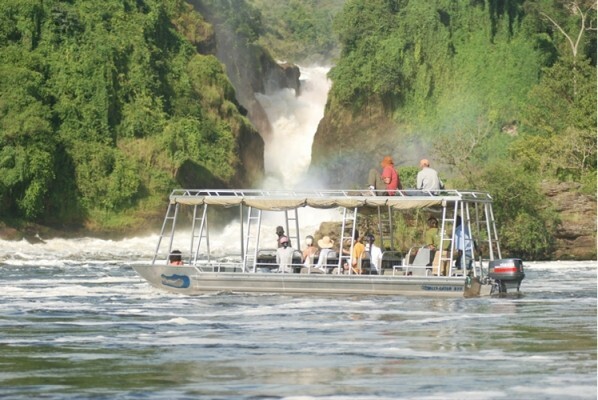 From Murchison falls park, you are driven to Kibale forest National Park for chimpanzee trekking then after continue to Queen Elizabeth National Park for a game drive and boat cruise in Kazinga channel. Gorilla trekking is the next activity at Bwindi impenetrable national park then after relax at the shores of Lake Bunyonyi. You continue with your driver guide to Lake Mburo National Park where you undertake a boat cruise, game drive and horse back riding then transfer back to Kampala with a stop at the equator. Day 1: From Kampala, you are transferred to Ziwa Rhino Sanctuary for rhino tracking then after continue to Murchison Falls National Park arriving in the evening. Day 2: You undertake a morning game drive, an afternoon boat cruise and a hike to the top of the mighty Murchison Falls in the evening. Day 3: From Murchison falls park, you are driven to Kibale forest national park via Hoima within the Albertine rift valley. 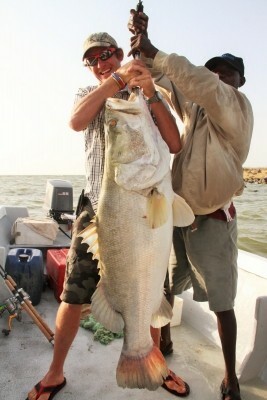 Day 4: In the morning, you undertake chimpanzee trekking then transfer to Queen Elizabeth National Park. Day 5: You undertake a morning game drive than an afternoon 45km long Kazinga channel boat cruise. Day 6: From Queen Elizabeth National Park, you are transferred to Bwindi impenetrable national park which is the largest gorilla habitat in Uganda. 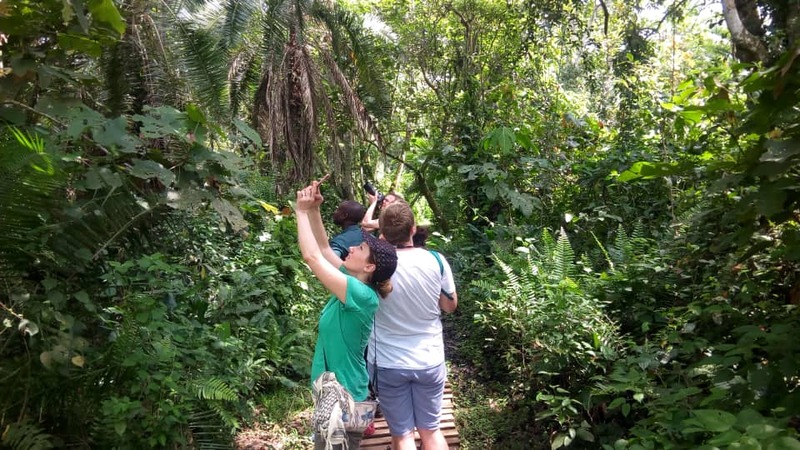 Day 7: For about 2-8hours of the day from 8:00am you will be in the jungle for gorilla trekking. Day 8: From Bwindi forest, you are transferred to Lake Bunyonyi where you spend the rest of the day relaxing at the shores of Africa’s deepest lake. 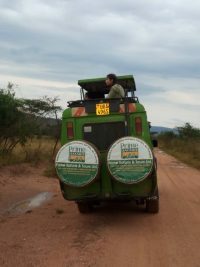 Day 9: In the morning, you are transferred from Lake Bunyonyi to Lake Mburo National Park in Rukungiri district. 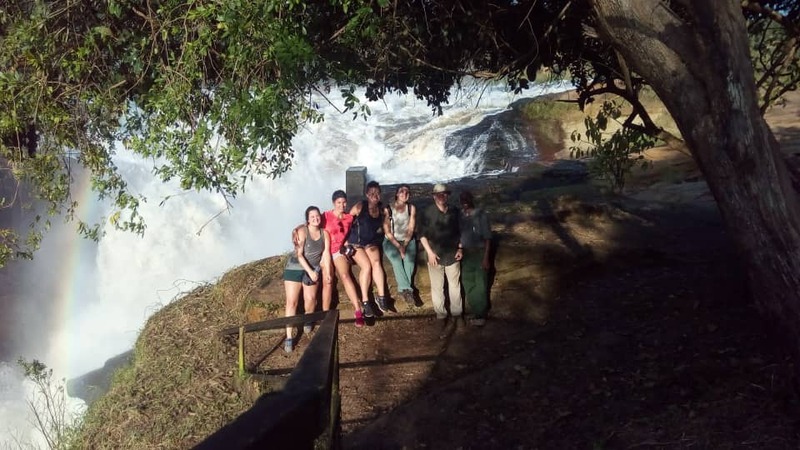 Day 10: in the morning, you do horseback riding or take a nature walk in Lake Mburo National Park then be driven back to Kampala with a stop at the equator line. After breakfast in the morning at Murchison Falls national park, you are driven across the diverse Albertine rift to Kibale forest national park. This long road trip past the Bugungu wildlife reserve which is part of the Murchison falls conservation area lasts about 7-8hours arriving in the evening. On arrival, you check in, have dinner and relax at a prior booked accommodation in Kibale forest national park. You wake up to a hearty breakfast by sunrise then go for horseback riding at 8:00am lasting 2-3hours with minimum weight of 95kg. 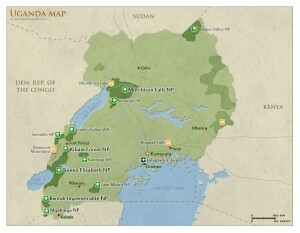 After a meal at your lodging facility, you check out and embark on a drive to Kampala with a stop at the equator. 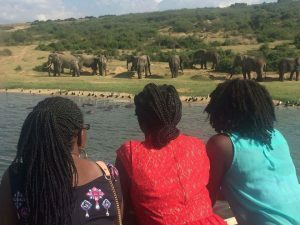 Optionally you can decide to take a nature walk in the morning since this is the only safari park in Uganda where you can walk within the wild since the animals here are calm. Come meet with mammals, primates, apes, birds, culture and amazing landscapes in just 10 days and you will never remain the same because you would have added a lot to what you know.